Robert D. Schneider, Tony Higgins and Keith Barrett, Requirements Definition & Management for Dummies(Mississauga: John Wiley & Sons Canada, Ltd, 2013), p.p. 24-25. 有關NHS系統失敗案例的報導，請參考Neil Versel, U.K. Scrapping National Health IT Network. See http://www.informationweek.com/regulations/uk-scrapping-national-health-it-network/d/d-id/1099364? 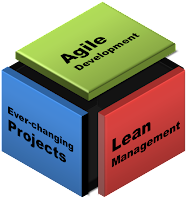 GAO, Software Development: Effective Practices and Federal Challenges in Applying Agile Methods, July 2013, pp. 29-30. NAO, Governance for Agile Delivery, P 7.